Since its foundation in 1908, the family-owned Morgan Motor Company has stayed true to its high standards of quality and traditional craftsmanship. The Morgan Motor Company is the oldest car company in the world still in private ownership and for over a century the craftsmen and women have produced hand-built sports cars from Ash, Aluminium and Leather at their Malvern factory. The vintage styling and hand-built charm can easily mislead. Morgan is no timewarp car manufacturer stuck in the 1930s and under the skin modern Morgan cars are built around a light and rigid aluminium structure. 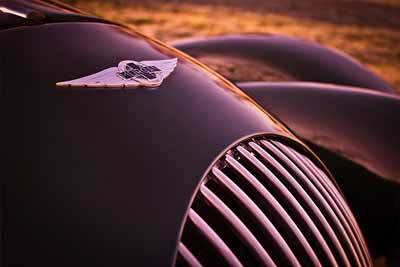 Car fans adore Morgan’s fearless willingness to go against the herd and do things their own way. It makes the company distinctive, and is a real asset. Henry Fredrick Stanley Morgan, known as HFS to his friends, founded Morgan in 1909 after completing an apprenticeship with the Great Western Railway before leaving to set up his own automotive garage in Malvern Link. Morgan’s first car was unveiled at Olympia in 1909. The Runabout was a cyclecar, a lightweight, 3-wheeler with one seat that used tiller steering and was powered by an 8hp twin-motorcycle engine. It was not originally intended as a commercial venture, but the warm reception given the Runabout against a background of huge demand for cyclecars convinced HFS to put the car into production. The Runabout very quickly became fashionable and was displayed in the window of Harrods in London, who became the very first Morgan dealer. In only a few years the design evolved. Tiller steering was replaced by a more conventional steering wheel, luxuries like a hood were added and the range expanded to two and even four seat cars. So successful, in fact, that by 1914 Morgan had to move production to a new site in Pickersleigh Road, Malvern Link, the site of Morgan’s factory to this day. For over twenty years Morgan concentrated on making 3 wheeled cyclecars, which were very popular and classed as motorcycles in the UK, so exempted from taxes. But when the law changed, Morgan were ready, unveiling their first fully-fledged four-wheeler, the Morgan 4-4 (for 4 wheels, 4 cylinders) in 1936. 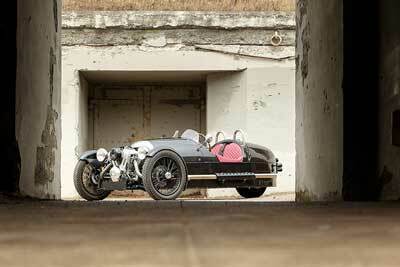 The Morgan 4/4 remains in production to this day, the longest running production vehicle in the world. Much like the design of its cars, the Morgan badge has been modernised over the years but maintains the same basic form of the Morgan name adorned by two wings. For many years the 4/4 style of Morgan remained the bread and butter of the company, either fitted with a inline 4 cylinder (Plus 4) or a Rover V8 (Plus 8) but the new millennium marked the arrival of a new, higher tech, style of Morgan, The Aero 8. The Aero 8 signalled not only a modern design (in a reassuring, Morgan way) but also it was the first Morgan vehicle to be built around an aluminium chassis and frame, as opposed to the traditional wooden body tub skinned in aluminium. While in 2011, for the first time in nearly sixty years, they returned to their three-wheeled roots with a new Morgan three-wheeler sports car. 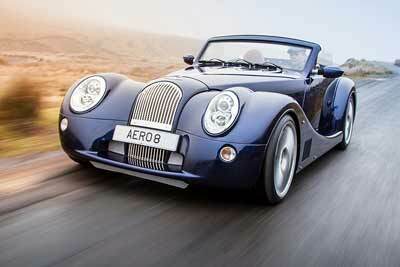 At the 2015 Geneva motor show, Morgan announced a new 5th Generation of their hand-scuplted Aero 8 sports car. Powered by a 4.8 litre 367bhp BMW V8, which will propel the car from 0-60 in 4.5 seconds and onto a top speed of 170mph. Morgan currently produce – the 3 Wheeler, the Aero 8, the 4/4, Roadster, Plus 4 and Plus 8. If you’re a Morgan owner or fan, be sure to check out our Morgan owners’ clubs page to find out about club meetings and events near you.